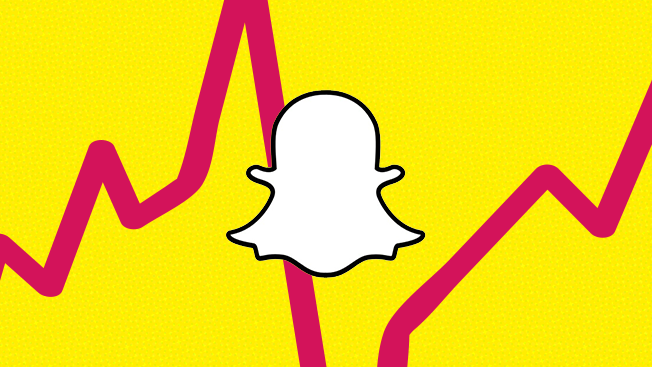 Snapchat needs to continue growing its user base to attract big advertising dollars, and it appears to be on the right path. An eMarketer report Tuesday revealed that the social app—which claims to have 150 million daily users worldwide—would grow by 27.2 percent during 2016 and then another 13.6 percent next year. That would put Snapchat at 217 million users by the end of 2017. In the U.S. alone, there will be 58.6 million users by the end of 2016, said eMarketer. The New York researcher said millennials make up the greatest share of Snapchat's American base, totaling 40.9 million and currently accounting for 70 percent of Snapchat's monthly users. 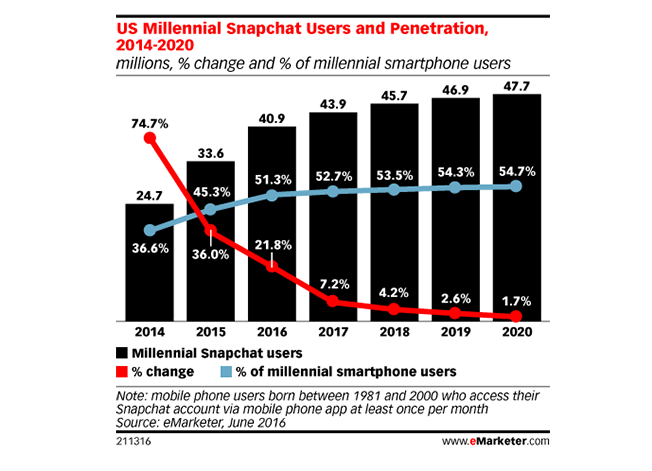 Check out eMarketer's chart below to learn more about the growth it predicts for Snapchat when it comes to Gen Y consumers.